Asthma affects up to 10% of all Americans, it’s the most common chronic condition in children, and it contributes to a significant amount of time missed from school and work. 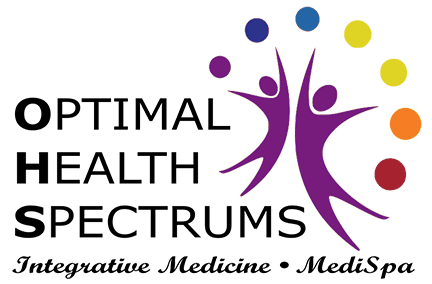 Dr. Lynne R. Mielke and Sandi Kreizenbeck, DNP, at Optimal Health Spectrums offer a comprehensive integrative approach to asthma that tests for and treats many of the underlying triggers. 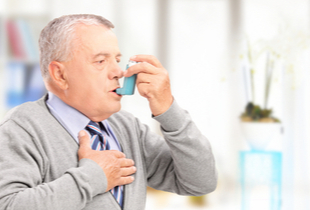 Call their office in Pleasanton, California to schedule an appointment for individualized asthma treatment. Does everyone have the same asthma symptoms? The thing to remember about asthma is that everyone has different symptoms, and your symptoms can change from one asthma episode to the next. As one example, some people rarely wheeze, while it may be the main symptom for others. Asthma is an inflammatory disease that flares due to health and environmental triggers. 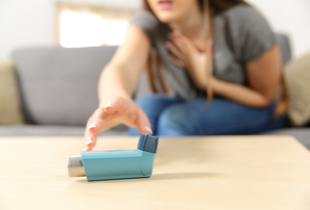 There are many possible causes of your inflammation and numerous triggers, so the key to treatment lies in determining what causes your asthma episodes. How can you alleviate asthma triggers? Dr. Mielke and Nurse Practitioner Sandi work with you to identify your triggers, then create a plan to diminish or avoid them. Cleaning the air in your house with filters, avoiding cigarette smoke, and treating allergies are a few ways to eliminate triggers. What treatments target underlying causes of asthma? We go a step beyond triggers to determine health issues that contribute to your underlying inflammation. The first step is a thorough examination and advanced diagnostic tests, as needed, to detect issues that cause inflammation, such as a chronic infection or hormone imbalance. Then a customized treatment plan is developed to address your unique health needs. Deficiencies in nutrients affect asthma numerous ways. You may lack nutrients that fight inflammation or those that support biochemical processes, regulate genes, or keep the immune system healthy. Correcting deficiencies can help relieve asthma. We can develop a nutraceutical regimen that controls your asthma while also improving your overall health. For example, natural supplements can help thin mucus and calm inflammation in the airways. Asthma is associated with allergies and intolerances, so it’s important to use blood tests to determine whether you react to specific foods that may trigger your asthma flares. Toxic metals and chemicals cause systemic inflammation. Testing for their presence, and then detoxing them from your body helps keep your asthma under control. Click here to learn more about Optimal Health Spectrums integrative approach to asthma.